Our youthful and happy festival guests are cheerful and caring towards their surroundings and themselves, and open to the opportunities of falling in love and delving deep into something. That’s the spirit of the festival! 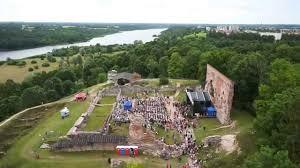 Viljandi Folk Music Festival has become one of the largest of its kind in the Baltic and Nordic countries. The XXVII Viljandi Folk Music Festival takes place on July 25. – 28. 2019. The theme of the festival is “Sounds good”. The theme that can be paraphrased as “a story behind the tune”, focuses on the ideas behind the music, the meaningful stories in songs and the performer’s personal relationship with the songs they perform.